Instead, the initial note is lime. In that, it puts me in mind of a bottle of English Leather Lime that I received as a teen. Unlike that, however, it fairly quickly quiets down, leaving behind a slightly sweet (as opposed to spicy) air with a hint of vanilla. The literature says that PGA TOUR Prosport is “woody,” but to me that means “cedar,” and I just don’t detect any of that. Describing smells is difficult, so I’ll just say that this is a cologne I could wear on a daily basis. It’s clean and subtle. 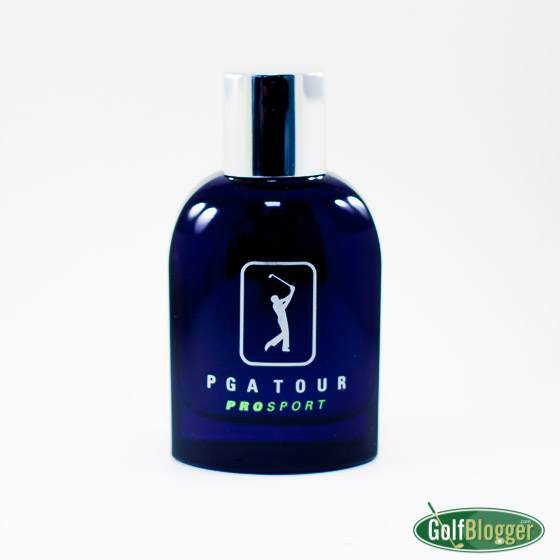 It strikes me that PGA TOUR Prosport is a good choice for adult men who might want to wear a cologne, but who don’t want to attract attention like a teenage boy with a bottle of Axe.